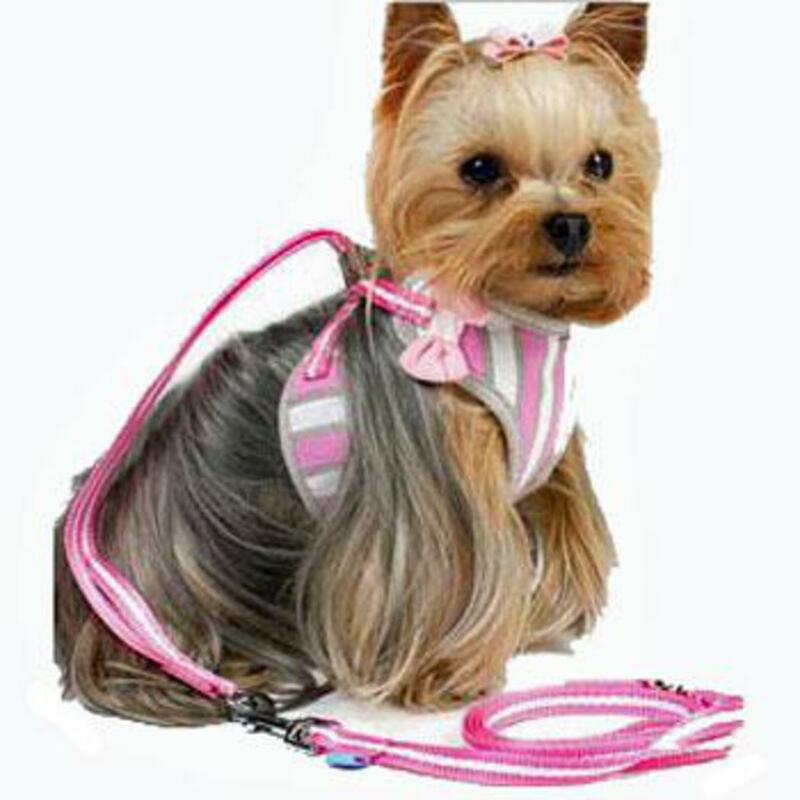 Lovely little dog harness has pink, white and gray tone stripes with a cute pink bowtie accent. Perfect step in harness for the little girl pooch. It is easy to wear and comfortable on the dog. 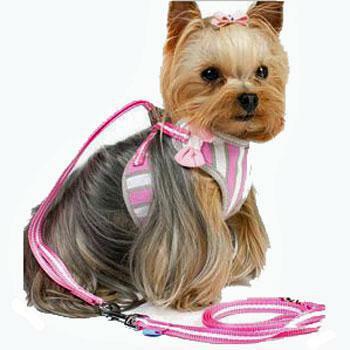 Unlike other mesh harnesses that use Velcro straps on the lower chest, which loosen its grip over time, EasyGo Harness pink striped step-in design is tightened from the back. This allows much greater security as harder the dog pulls the tighter it gets. The Dogo Design Sweetbow's matching lead is included with the harness!